Recently the city council adopted an update for an ordinance regulating business signs. For those not familiar with government, yes, cities regulate all sorts of things. While we applaud the mayor for seeking common ground, the process was not smooth, and the city caved to some of the worst impulses of some councilmembers. But first let’s back up. The ordinance went through a rigorous review by the city’s Plan Commission, which is comprised of volunteer residents who are appointed based on their valuable knowledge of things like this. It’s hard enough to find anyone to serve on a non-paying city commission, but to find folks who have experience and knowledge of certain city functions to volunteer is nearly impossible. A bare majority of councilmembers, urged on by a handful of business owners, insisted on further changes to the ordinance, namely allowing business signs to be bigger. That was a slap in the face of the folks who sit on the Plan Commission. Progressive cities limit the size and type of signs in order to avoid signage pollution – the kind of gaudy signage one sees in the suburbs. Bigger is definitely not better. In fact, it’s just the opposite: less is more. And the problem with this type of thinking is that once you allow bigger signs to go up, eventually businesses will insist they need even bigger signs. It’s a slippery slope, folks. Some business owners also insisted on allowing businesses to cover up more and more of their windows with ridiculous promotional signs. Again, this just adds to an overall gaudy image – plus it deters police officers and firefighters from being able to look inside businesses to see what’s happening in the case of emergencies. Some also wanted flashing, annoying lighting and inflatables and just about everything a city like Sterling Heights has. Sometimes leadership requires avoiding the temptation to please a few and make decisions that are right for the city. Some Hamtramck officials have once again failed to show such leadership. A more detailed response to follow. just to set the record straight, those signs are no longer allowed. Yes, local police have complained that signage in windows deters them from their law enforcement mission – however code enforcement officers have no legal right under the latest ordinances to require shopkeepers to take down window signage. The same type of situation has occurred with the practice of Michigan State Police ticketing motorists for tinted windows as obstructed vision violations. Police want the ability to see inside cars to observe motorists and confirm that they are wearing seat belts, have children in car seats etc. – and drivers had countered this by causing their car and side windows to be tinted. Motorists are entitled to their privacy – and so are local store operators. The argument that transparent windows are necessary for safety reasons does not pass muster and is not the real reason full coverage window signs are prohibited. The current and old ordinances do not prohibit businesses and stores from totally covering their windows with blinds, curtains or reflective screens. In fact, all banks in Hamtramck, where money is kept and safety is paramount, have their windows totally covered. All bars have their windows covered, probably for privacy reasons. For the real reason, read part 2. The real reason on the restrictions placed on windows signs in particular and other signs in general is, as our mayor has admitted, that they make Hamtramck look “Trashy”. 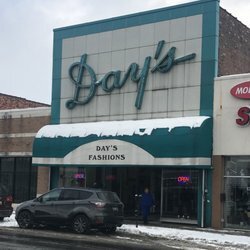 Our problem, as a chamber of commerce, is with her trying to impose her “elitist view” on struggling business owners in Hamtramck whose only means to advertise are their signs, banners and window signs and who cannot afford direct mail, radio ads or any other form of expensive advertising. Hamtramck is a unique city and signs, without burdensome restrictions, make it more beautiful and attractive. At its peak Hamtramck signs added a very attractive element (as evident by the picture I linked to in the first post) and its time to bring it back to its glory by turning it into a blank canvas for artist and sign makers to decorate it as it deserve to be decorated and get it of its ghastly look nowadays. The ordinance did not go through a rigorous review and Hamtramck business owners input was continuously ignored during the draft process. The ordinance, as its drafter Mr.Jack Williams have stated, is a copy of Sterling Heights ordinance which was tweaked to make it more restrictive for Hamtramck businesses than the old ordinance especially for window signs. The planning commission even wanted to limit the amount of information placed on a sign, like the old ordinance, until a supreme court decision was brought to their attention by the chamber forcing them to retract that provision. The former sign ordinance was, evidently, unrealistic to enforce. Many influential businesses got away with gross violations of its provisions while religiously applied to powerless business owners. As a matter of fact, former DPW director Steve Shaya, got a quarter million dollars as a settlement for his lawsuit against the city and one of his complaints was the city’s selective enforcement of the sign ordinance against the “immigrant community ” business owners. Hopefully, with the new ordinance there will be no more “Selective Enforcement”, it’s a thing that remains to be seen. Trying to enforce your sign beauty standards on everyone is a very dictatorial thing to do. Signs size is irrelevant. 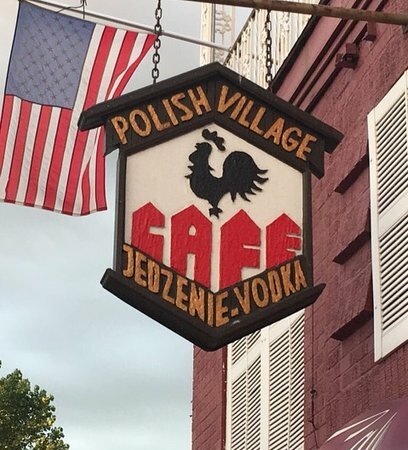 A sign can be big and beautiful and it can be small and ugly. 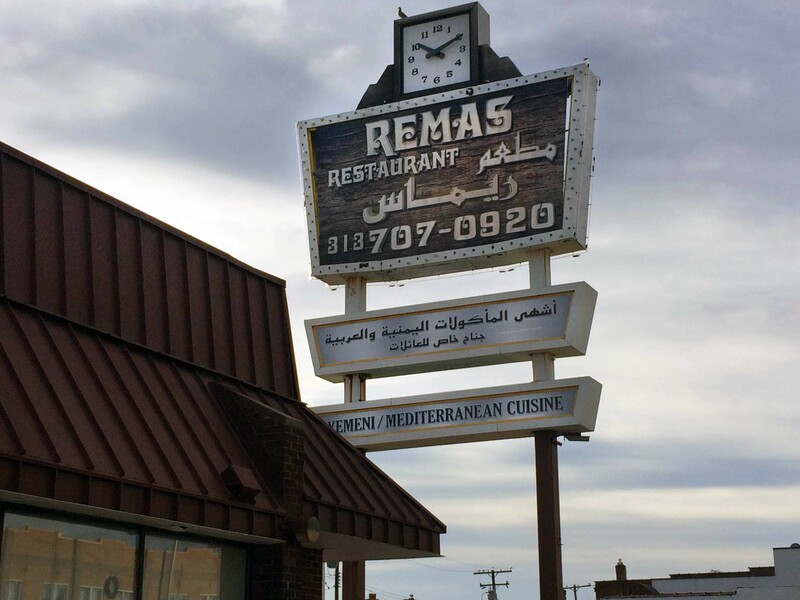 What we are really seeing in Hamtramck is a city that is trying to suffocate the immigrant community’s entrepreneurial spirit while desperately trying to hold on to a past long gone. 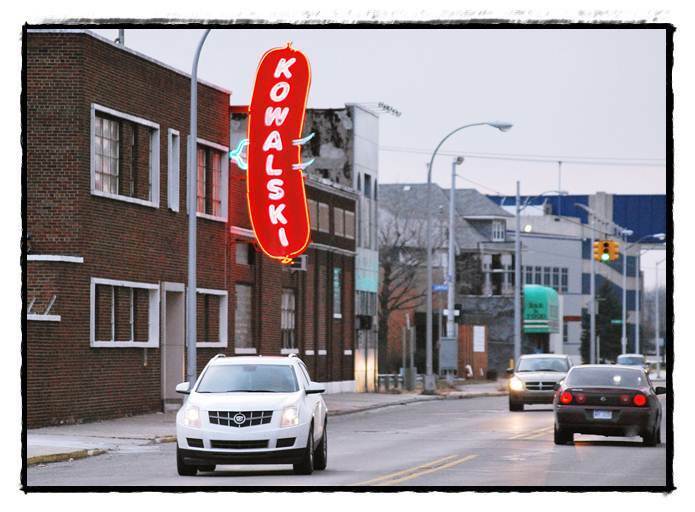 Has the Kowalski sign on Holbrook Ave. and others been “grandfathered in” so as to allow them to be exempt from current code enforcement as non-conforming signage? The point is that they are very beautiful and an enrichment to Hamtramck even that they will be non-conforming under the subjective current ordinance.